GM's 10 percent increase in November U.S. sales reflected a rise of 8.1 percent at Chevrolet, 14 percent at GMC, 16 percent at Buick and 14 percent at Cadillac. After three straight monthly dips, U.S. light-vehicle sales in November rose 3.6 per cent from a year earlier, helped by more generous deals and strong truck demand. Ford, Honda, Nissan, Toyota and General Motors posted increases in November as a rise in incentive spending helped put the industry back on a winning track. Industrywide sales hit a record for the month -- 1.378 million -- easily topping the 1.328 million mark in Nov. 2001. Light-truck deliveries, behind double-digit increases in sales of crossovers and pickups, jumped 8.6 per cent last month, while the car market continued to slump, with demand off 3.9 per cent. The seasonally adjusted, annualized sales rate remained strong but dropped to 17.83 million from this year’s highest rate -- October’s 17.98 million -- and the 18.07 million pace in November 2015, the second-strongest month of last year. "That's a great, great market. Any time we're talking mid-17s, that's a wonderful market and a wonderful indication of where the North American economy is," said Bob Carter, vice president of automotive operations for Toyota Motor Sales U.S.A.
A 10-per-cent gain at GM and a 4.3-per-cent rise at Toyota Motor Corp. marked their strongest advances this year. Nissan Motor Co. climbed 7.5 per cent, while Ford Motor Co. ended a four-month skid. The Volkswagen brand soared 24 per cent. Fiat Chrysler was the exception among major automakers, tumbling 14 per cent as fleet deliveries shrank. The discounts were more generous on remaining 2016 car and truck models. GM dangled incentives that topped $10,000 (all figures U.S. dollars) on some Chevrolet Silverado pickups and Suburban SUV models. 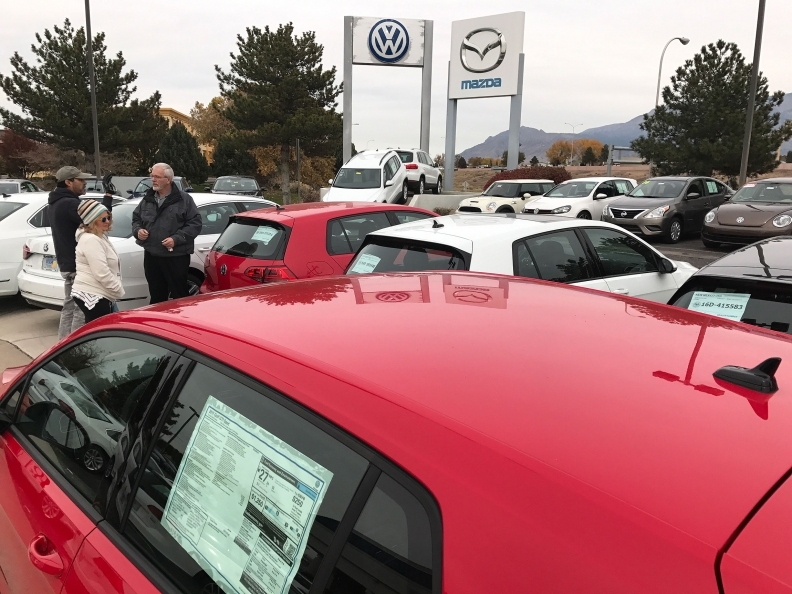 Some Hyundai dealers cut prices on 2016 car models by 21 per cent to nearly 40 per cent, and offered a $100 Visa reward card with the purchase of a new model as part of Black Friday deals. What’s more, November left the industry in a better position to top last year’s 17.47 million tally. Sales through October were 0.3 per cent behind their year-earlier pace after three straight monthly declines. Ford's retail sales rose 10 percent while fleet shipments dropped 9 percent. GM's 10-per-cent-increase reflected rises of 8.1 per cent at Chevrolet, 14 per cent at GMC, 16 per cent at Buick and 14 per cent at Cadillac. GM said sales to retail customers were up 7.9 per cent to 197,609 in November while rental shipments jumped 27 per cent. Toyota's corporate increase reflected a 5.3 gain at the Toyota division. Deliveries slipped one per cent at Lexus. Toyota outsold Ford Motor Co. for the first time this year after coming close twice this summer. Toyota's margin was 1,204 units to rank No. 2 in the industry, behind GM. Ford posted a 5.1 per cent rise in November volume. Sales rose 4.5 per cent at the Ford division and 19 per cent at Lincoln. Ford's retail sales were up 10 per cent while fleet shipments dropped nine per cent. Volume dropped at FCA on sharply lower fleet shipments, a 12 per cent decline at Jeep and a 47 per cent decrease at the Chrysler brand. It was the third straight monthly decline at Jeep. Deliveries rose 12 per cent at Ram but slipped 21 per cent at Dodge and 15 per cent at Fiat. FCA said overall retail demand dropped two per cent and fleet volume was off 42 per cent last month. Sales advanced 7.5 per cent at Nissan Motor last month, with deliveries rising 8 per cent at the Nissan division and 3.6 per cent at Infiniti. Nissan benefited from a sharp rise in November incentives – which averaged $4,209 per vehicle last month, or 12 per cent higher than November 2015, TrueCar estimates. Honda Motor Co. ended a three-month losing streak with a 6.5-per-cent increase. Honda division volume climbed 7.9 per cent, offsetting a 5.1 per cent decline at Acura. The VW brand’s 24-per-cent increase ended a streak of 12 consecutive monthly declines in the wake of the automaker's diesel-emissions scandal. VW’s Audi, meanwhile, extended its winning run to 85 months with a 2.5 per cent gain. The VW brand's 24 percent increase ended a streak of 12 consecutive monthly declines in the wake of the automaker's diesel-emissions violations. Subaru of America continued its hot streak with November marking the 60th consecutive month of U.S. sales increases. Subaru also set a monthly sales record with 51,308 vehicles sold in November, an increase of 11 per cent from a year earlier. 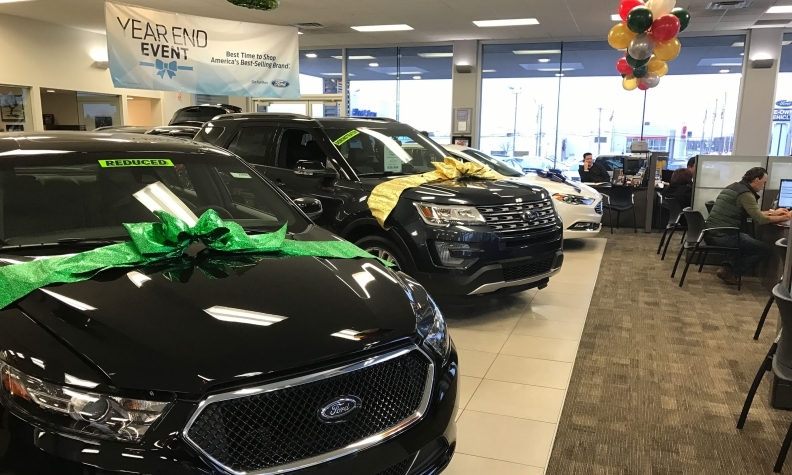 “With December typically being one of the best retail sales months of the year, the Subaru franchise is in a great position to achieve its eighth consecutive all-time sales record in 2016,” said Tom Doll, president of Subaru of America. 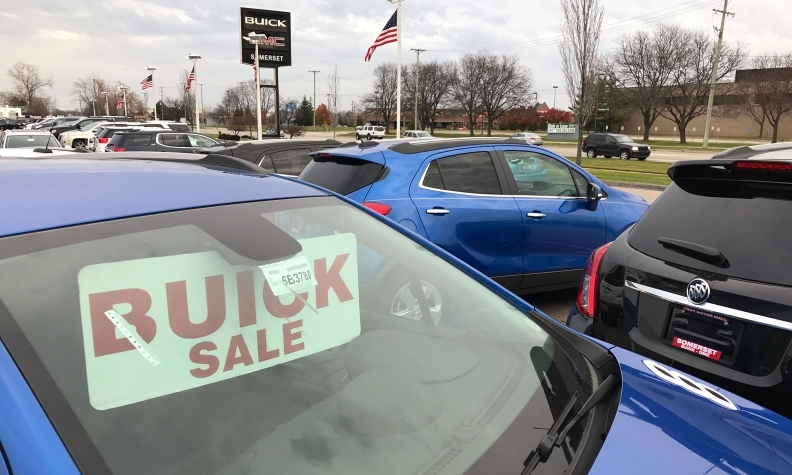 The early launch of Black Friday sales events helped offset declines in fleet sales in November, said Eric Lyman, TrueCar’s chief industry analyst. Steady economic and job growth and the recent rise in U.S. equity prices have also encouraged consumers to make big-ticket purchases, analysts say. Incentive spending by automakers averaged an estimated $3,475 per vehicle in November, TrueCar estimates. Mike Jackson, CEO of AutoNation Inc., the largest U.S. new-vehicle dealership group, said there is some relief among dealers and automakers now that the presidential election, and the uncertainty that the campaign cast over consumers, is over. Jessica Caldwell, an analyst for Edmunds.com, said luxury vehicles and light-truck demand in December will determine whether the industry hits a new milestone. “November sales have the industry well-positioned to set a new annual sales record this year, but a new record is far from guaranteed,” said Caldwell. “Expect to see a flood of ads for holiday season sales events in the coming days and weeks, especially for luxury brands, trucks and SUVs. If we see any year-over-year lifts in these segments in December, then it's a good bet that the industry will top last year's record-high sales." Nick Bunkley and John Irwin contributed to this report. Can trucks haul industry to victory lane?